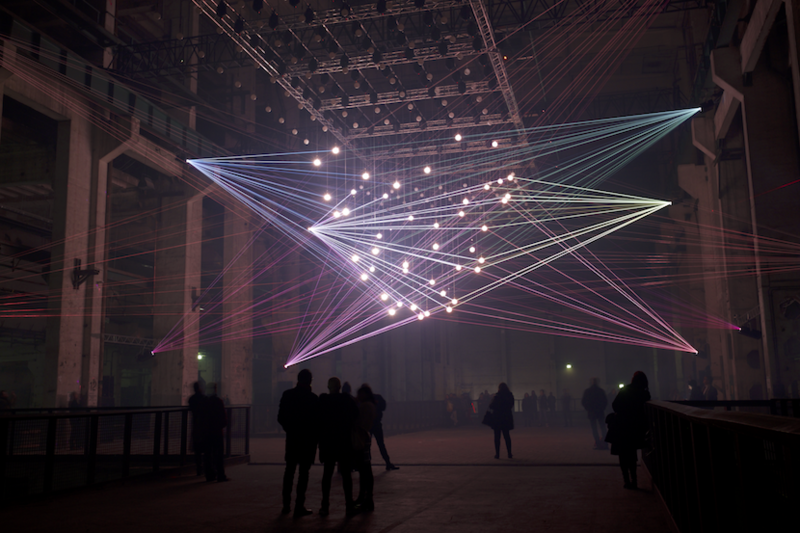 Deep Web is an installation using 12 high precision lasers and a matrix of 175 moving balloons to create a dramatic three dimensional sculpture of lines and dots floating in space above the audience. The choreography is synced to a musical score played back in 8 channel surround sound. Deep Web has been developed for Fete des Lumieres in Lyon 2015. The event was cancelled after the IS attacks in Paris in November 2015. Deep Web was then premiered at CTM Festival Berlin in February 2016 instead. Loop, 30 minutes. Lasers, Kinetic Lights moving elements, surround sound, fog. Performance version: 60 minutes, controlled by the artists in real time. 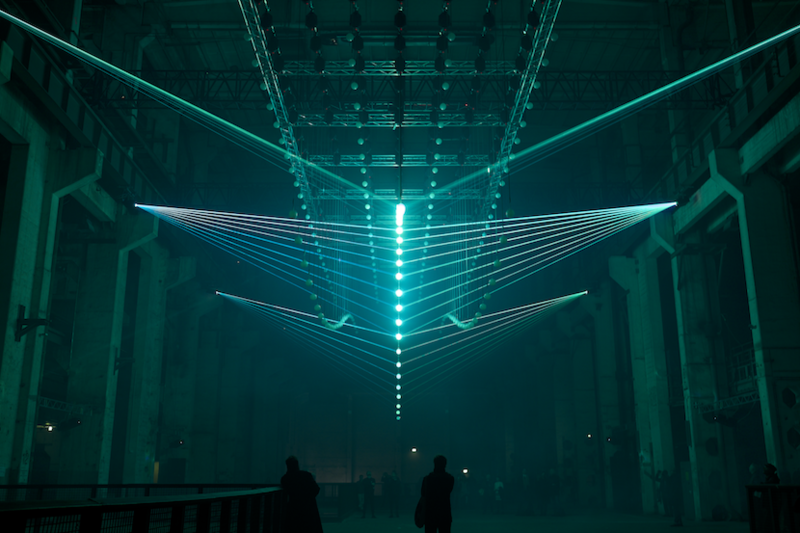 Photos of Deep Web installation at Kraftwerk, Berlin, February 2016.